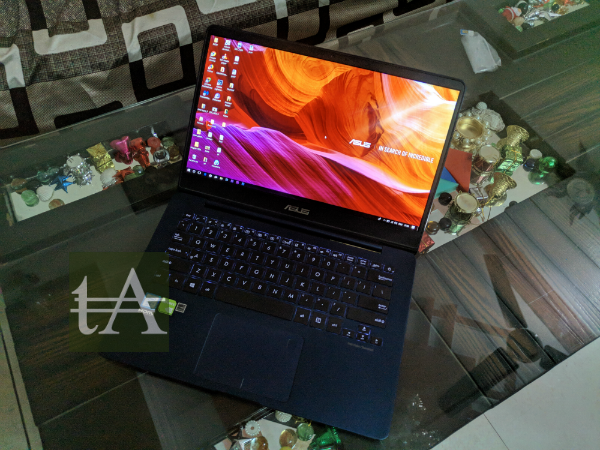 When it comes to ultra portable laptops, there are very few names which can justify it, the first name which comes to our mind is Apple Macbook Air, its nearly a decade and since the Apple Macbook Air is the king of this segment, many manufacturers tried to enter this segment like Dell with its XPS 13, then Microsoft with its Surface series but failed to do so due to price tag. 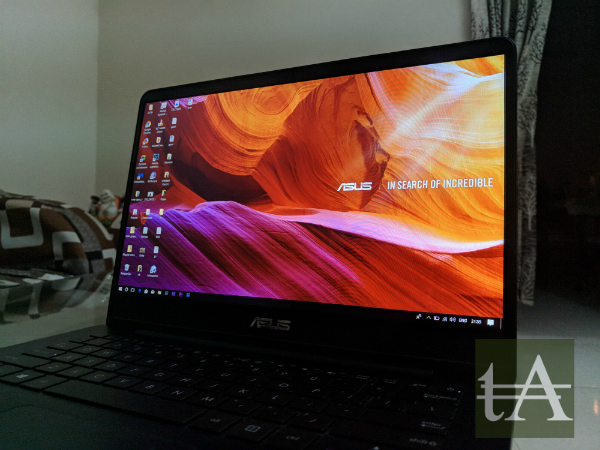 Asus was able to make some sort of impression with its ZenBook series. 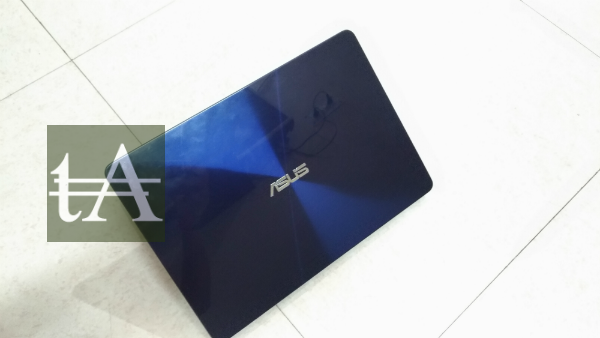 Recently we got Asus ZenBook UX430. 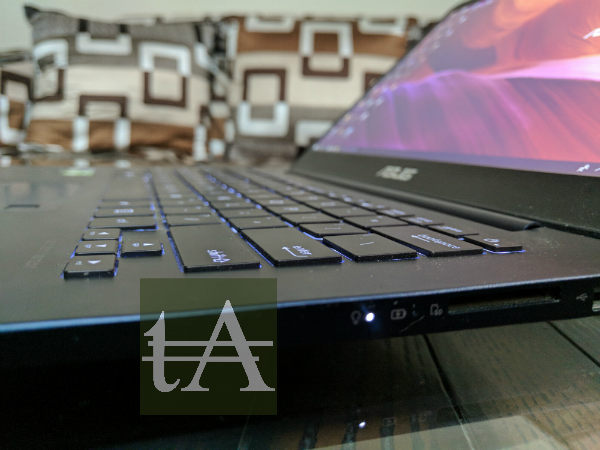 Asus ZenBook UX430 has got the build an design which you an expect from any ultra-book, it is light and weight just 1.3Kg which makes it easy to carry and use while you are on the go. It has got 14 inch display and its footprint is even smaller then 13inch MacBook Air. The most eye-catching part of this laptop is its lid, it is manufactured using special process called nanoimprint lithography (or NIL). 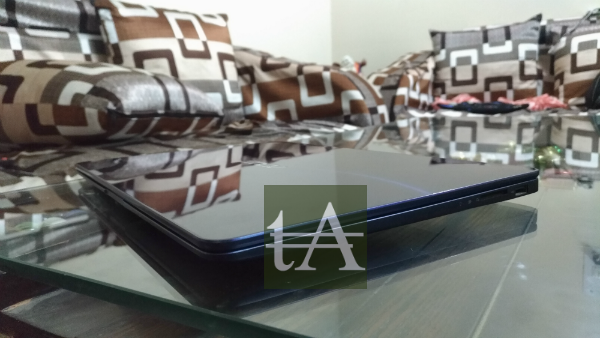 The lid has concentric ring pattern which seems trademark of Asus which we have seen on many devices from the company. The lid looks and feels like glass, but actually it is as shock-sensitive as glass. The lid looks good and makes it stand out in the crowd, but it is glossy and we finger print magnet as well, I am very much worried about the scratches on it. One thing which we liked on this device is that rather than copying from MacBook Air, company has decided to go on it own way which is nice. The body is thicker then we were expecting. 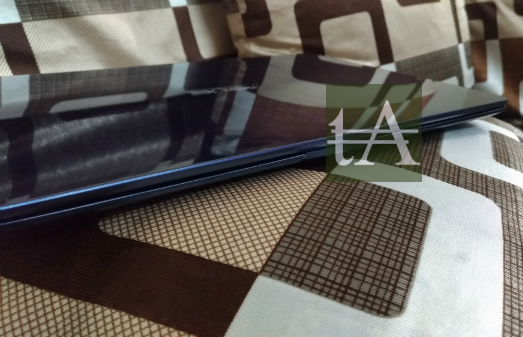 The bottom of Asus ZenBook UX430 is completely sealed which means you wont be able to access any parts of it. 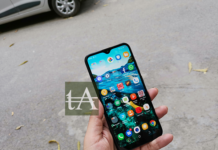 When you flip lid then you will find very thin bezels around the display which makes display look more beautiful, however at the top of display you will find webcam for video calling. 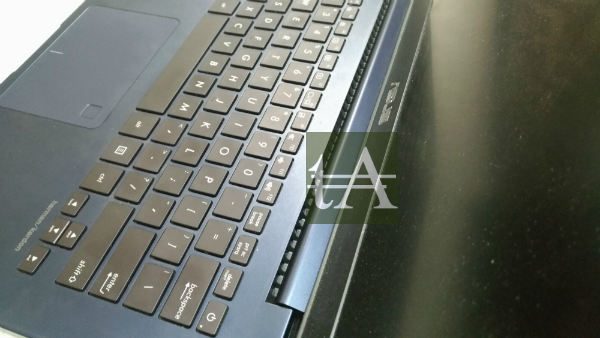 There are nice room for palm rest around touchpad which means you can type long letters without any issue. 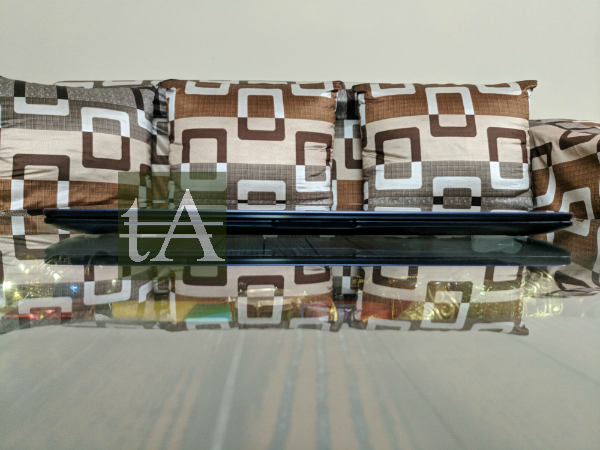 Keyboard layout is nice and all keys are nicely placed and even function keys are nicely placed and power button is also the part of keyboard layout and power button is little firmer than other keys which means no accidental pressing. 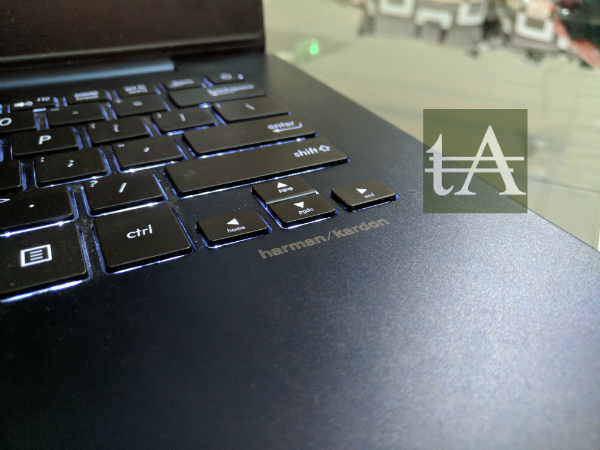 Trackpad is large and easy to access, there is a fingerprint scanner as well inside your trackpad, I am not the huge fan of this design, but this time its not that much bad. 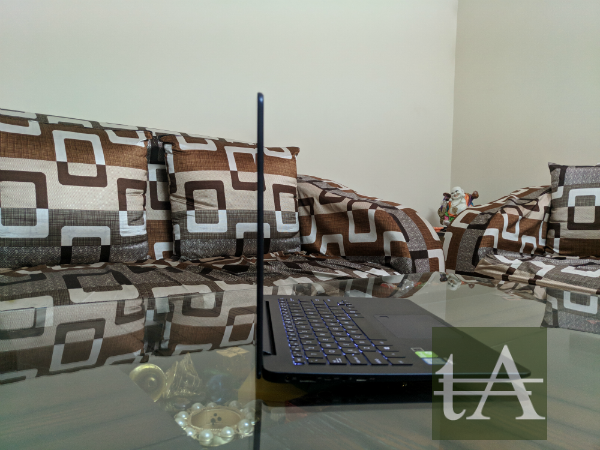 When it comes to the connectivity and ports then on the left side you have DC power inlet, USB 3.0, USB 3.1 Type C, micro-HDMI and headphone jack. On the other side, means on right hand side you have USB 2.0 slot and the SD card-reader, and there are some LEDs indicators as well. Overall I have mix feeling for its design language, when you take it ut of the box, it is glossy which looks good, it is light weight, easy to carry but there could be some improvements in terms of port like company cold have provided full sized HDMI as there is plenty of room, and there is no Thunderbolt port as well. 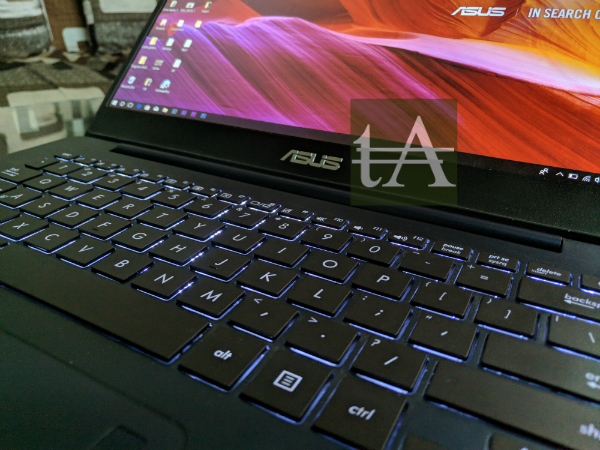 There are three different variants available of Asus ZenBook UX430, the entry-level comes with 8th Gen Core i5-8250U CPU and a 256GB SSD which is priced Rs. 72,990, then you have a 512GB SSD variant which cost Rs. 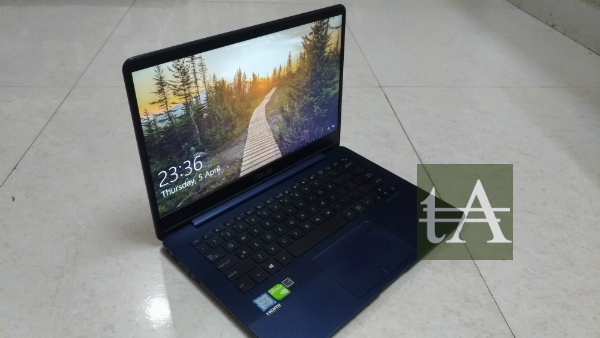 79,990, and then you have top-end variant which we have got for review, it has an 8th Gen Core i7-8550U CPU, 512GB SSD, and also a discrete GeForce MX150 GPU and it is priced Rs. 93,990. All variants have 8GB of RAM. 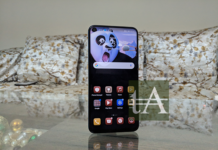 For connectivity you will get Wi-Fi 802.11ac, Bluetooth 4.1, then you have a 720p webcam, a pair of 1.5W stereo speakers certified by Harman Kardon, and a 50Wh battery which can last 9 hours as per company claims. 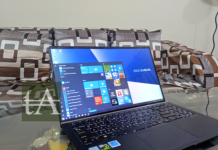 Asus ZenBook UX430 comes with Windows 10 Home, and if we talk about bloatwares then there are not much of them, there are only Microsoft Store apps which you will find there, Asus as included just one app and its pain in the A*S, the Giftbox which ask you to install other apps which are either free, freemium or paid one. I always had one complaint from Asus is to fix your keyboard design and layout, and it seems company has listened and did their homework here. Though the design hasnt changed here. 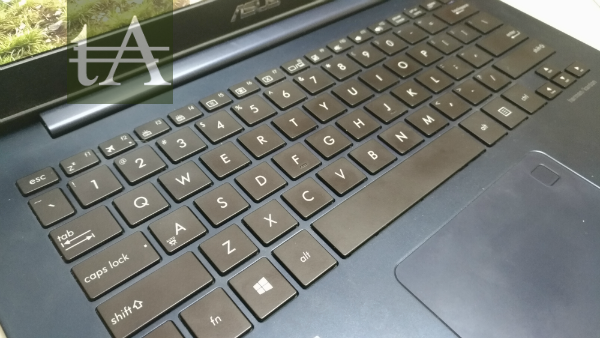 It has 15 x 15 mm square keys with proper spacing between them and it makes your typing easy, while typing on this keyboard I have noticed that feedback from keys has changed as compared with earlier Zenbook. Keys are backlit and supports three brightness levels which means no matter in which environment you are, you can always see your keys. So the overall keyboard is nice and checks all marks for me. 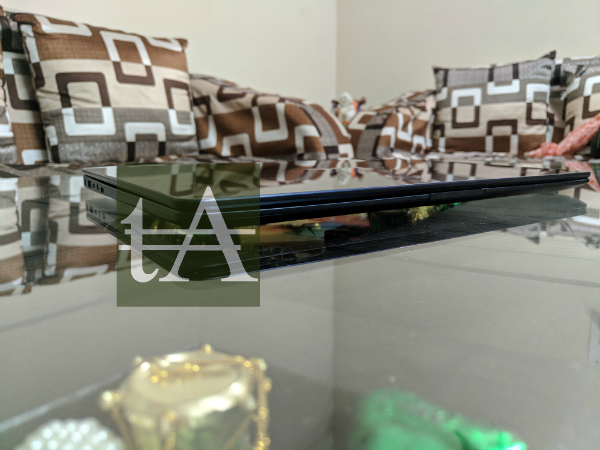 On the other hand, the trackpad here seems to be improved here as well, it’s made out of glass which means it is smooth and provide nice feedback to you. 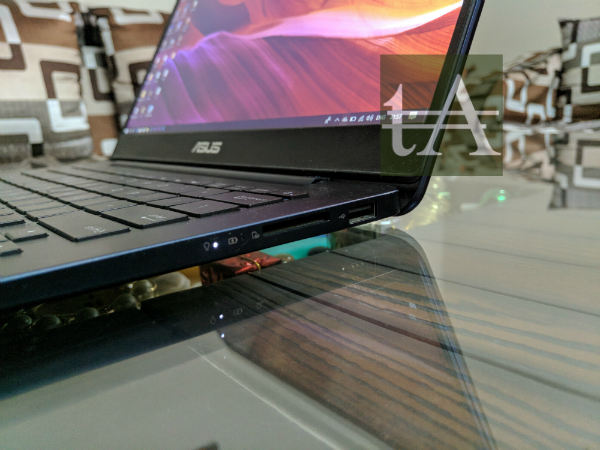 At first look, the trackpad seems to be same as we have seen on other Asus laptops so I was little worried for the same, but trackpad performed flawlessly and everything seems to be working very fine for me. 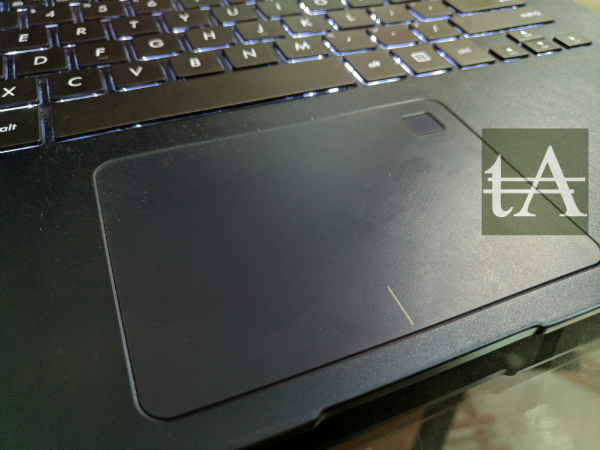 There is a fingerprint scanner as well on trackpad, I am not a huge fan of this design, but this time Asus has shifted scanner a bit and I never faced issue like touch scanner while using trackpad or so on. On the other hand, this finger print scanner makes much easier to login to the Windows by just placing your finger over it. 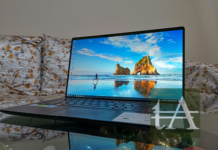 As told earlier, Asus ZenBook UX430 comes with a 14.0-inch non-touch IPS panel with a resolution of 1920 x 1080 px, I liked screen as there were no no glare, or no reflections. By default Windows scale setting to 150 percent, but I found 125 percent best for me. Display offers solid brightness and contrast, good viewing angles with quite accurate colors from sides as well. The screen can lean back to about 145 degrees, which means you can use it very easily if you are using it on your lap. One thing which annoyed me is that it has light sensor actiavted by default, which adjust brightness as per the conditions, which is good to save battery but I dont liked it and I had to manually turn it off (Fn+A) and set it manually. 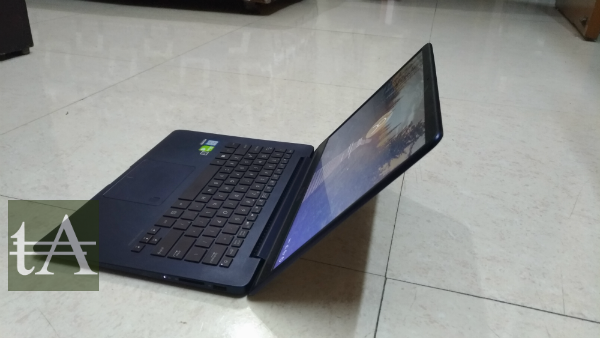 There is a single big fan inside the Asus ZenBook UX430, and it has to cool both CPU and GPU and this fan is bit aggressive, even when I am doing basic task like surfing web or checking mails on Outlook, and a normal user can feel the noise of fan very easily. 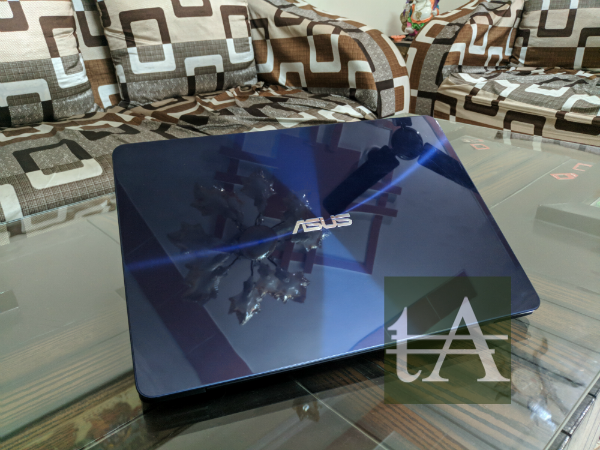 However, all thanks to this fan, Asus ZenBook UX430 remain cool most of the time unless you were doing any heavy task, and once you start pushing Asus ZenBook UX430 to its boundaries you can feel metallic body getting hot and if you are using it on your lap then you will feel body getting heat up. As per me, cooling system needs a bit more tweaking from the company. I must say company has done some good works in terms of stereo speakers certified by Harman Kardon, they are not outstanding but they are very good. There is a pre-installed app, AudioWizard which further enhance your audio experience. There is a 50Wh battery inside this machine, and as per company claims it can last 9 hours, if gaming is not your prefer choice then you wont be disappointed with this Battery. It can easily last more than 7 hours on normal web usage with YouTube video streaming and web surfing. Performance wise this laptop can take any task which you throw on it. 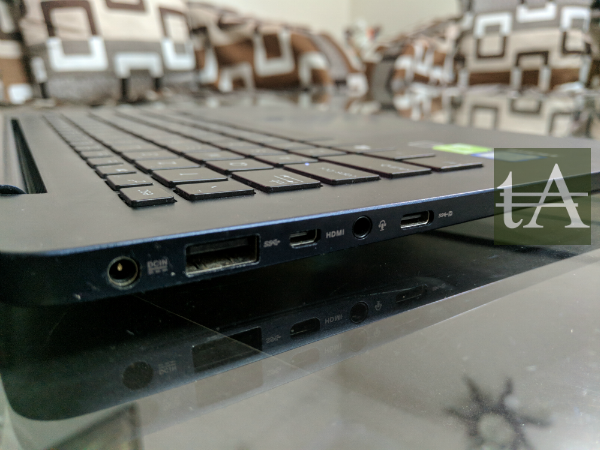 On our usage we never find any major lag from this laptop and it can handle your day to day task as well as heavy task like Photoshop, Lightroom, Premiere Pro and After Effects. There are some Microsoft bloatwares, so make sure you get rid of them so that you can get most of your hardware. 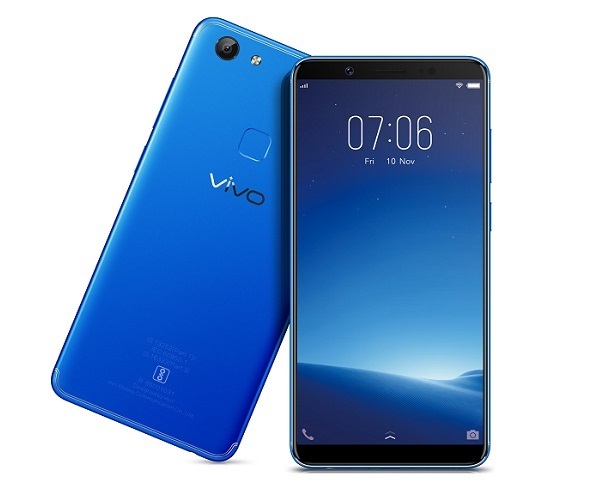 The screen of this machine is good with nice viewing angles, colors look good, it is bright and vibrant, texts are readable and we never had any issue while playing games or watching videos. 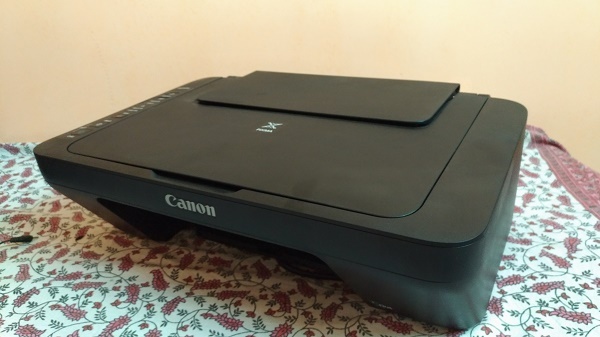 Keyboard and trackpad were good and typing experience was good on it, it has three levels of brightness which allows you to adjust them as per your needs. 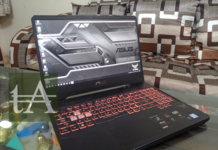 NVIDIA GeForce MX150 handles your graphics needs and it can handle your casual games and you can play old games on higher settings but you can only play modern games on lower setting as on higher setting frame rate drops and yes laptop become quite hot as well. It seems company has done their home work on this laptop and they tried to check all box with it. ASUS ZenBook UX430 comes with all features which you can expect from a modern ultrabook. It is easy to carry and use. You get SSD option in all variants and modern processor. I am happy to see that company has listened from past and improved keyboard and screen which is a plus point on this machine. 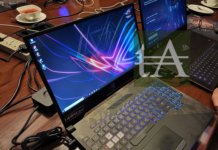 But when it comes to its price tag which is INR 90K+ which means company is targeting gamers with this laptop but still you can only play older titles on it which goes against this machine. 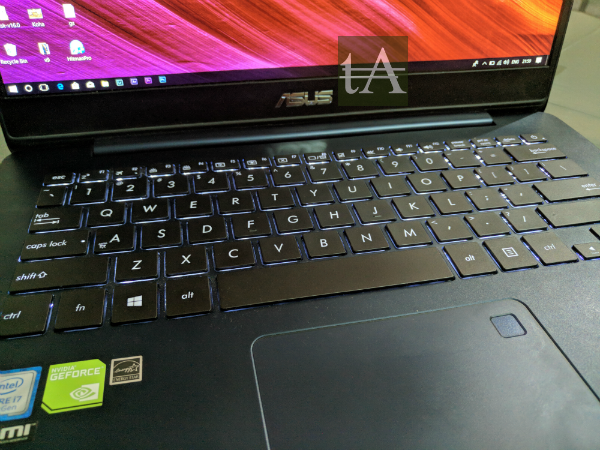 There are laptops with GeForce GTX 1050 Ti GPU at the same price tag, however they are not a portable as ASUS ZenBook UX430. 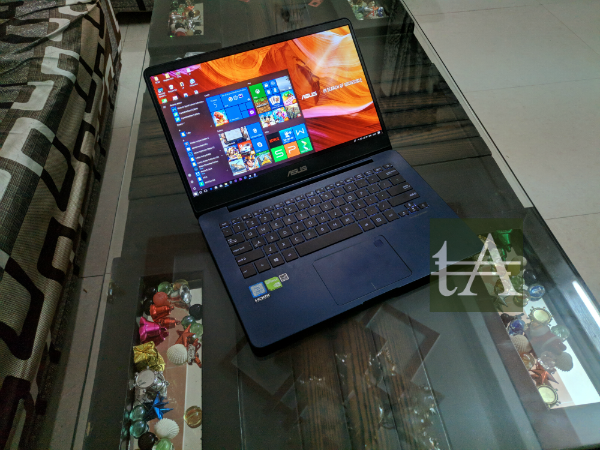 Now at the end we came to a question whether ASUS ZenBook UX430 is a better option then Apple MacBook Air which is priced same but it comes with low storage. So a clear answer goes in the favor of Asus.